The Locust Blossom: Drying Apricots & Too Much Eventfulness! we decided to take a little trip. Not too far, just outta Dodge for 3 days. each with its own picnic table & shade trees between. It was at the end of a short street so no traffic etc. We were camper #7 to pull in. no table & only some lilacs separating us from the owners house. "Oh, well, we'll be out and about quite a bit. We had been up since 5 AM because that's just what time we wake. Fireworks didn't start until 10:15 PM. in drunken traffic or teenager traffic or whatever other traffic. our heads hit the pillows. went directly between us and the house. me that there would be different music at each bar in town. Mr. LB & I talked and decided just to come home. so ended up stopping and fishing a little longer than we should have. I took over driving when Mr. LB started snoring behind the wheel. He hadn't slept since 2:30 AM. I did a little. We rolled in about 9:30-10 PM. We slept in until 6-6:30 then decided to go get a load of wood. and we were home anyways. It turned into a very long hot (100+) day. Got a nice load of red fir and returned home about 9 PM. I was so hot and tired, I didn't care about food. he uses up all his spare calories. I cooked while he showered. Then he ate while I showered. Monday we were still zapped. Tuesday, I picked up some bulk meat to divy up and freeze. We still hadn't unloaded the wood. 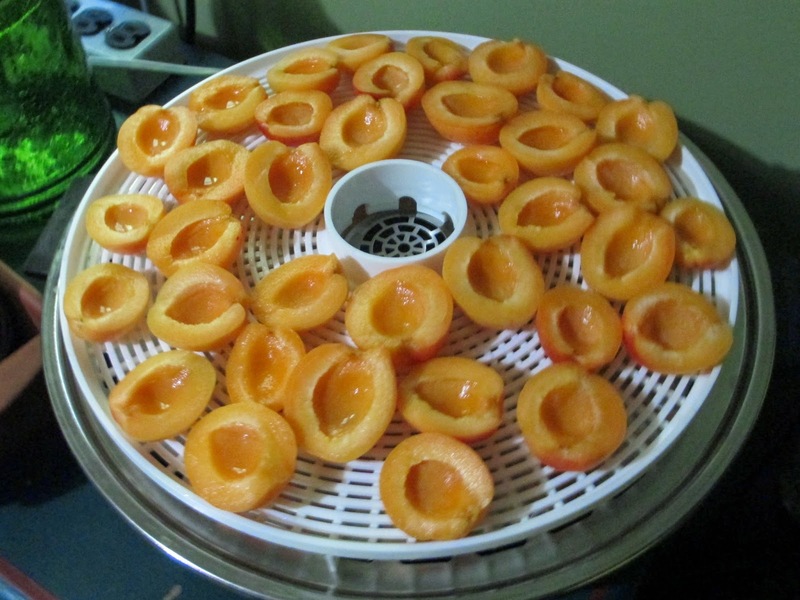 Wed. my M-I-L gave me 2 big boxes of apricots so I got to work on those. I don't care for them fresh but love them dried. Five racks on the dryer going constantly since Wed. night. in the little room where they will keep better. Thursday, I put some lamb chops in marinate for Sunday's company. Today (Sat.) was my first day home in a while. I would win - so weeded a ton in the garden. Bustling and busy and sweaty all day. About 7:30, went to do up the tail end of some dishes and start dinner. purchasing a new well pump. I am thankful we live next to a river. I went down with my towel and soap. It was rather invigorating to say the least. Hoping we get it all put together and have water before company. I'm curious - what does a day off feel like? they are hoping to get the pump in tonight. It's 9 PM. I know what you mean by to much event fullness. It has been busy for me with a baseball game yet to go with my youngest grandson. I have watched it all this weekend with the older two showing horses all day yesterday. I love dried apricots. Do you ever make any apricot jamb. I like some fresh, but much prefer them elsewise. Have a wonderful day. Hugs and Prayers from your Missouri Friend. Oh my...there is no place like home. Morning, We were just talking about doing up some fruit this week! Really home is so much better!! I didn't know Home Depot had well pumps. We have a deep well, 360 feet, and when it went out it was an ordeal. We had to get the well pump guys to come out and pull the pump to replace the check valve and since the pump had been there for 10 years or so we just had them change it out. It was expensive too. How lucky to have all those apricots! I love them dried or canned. 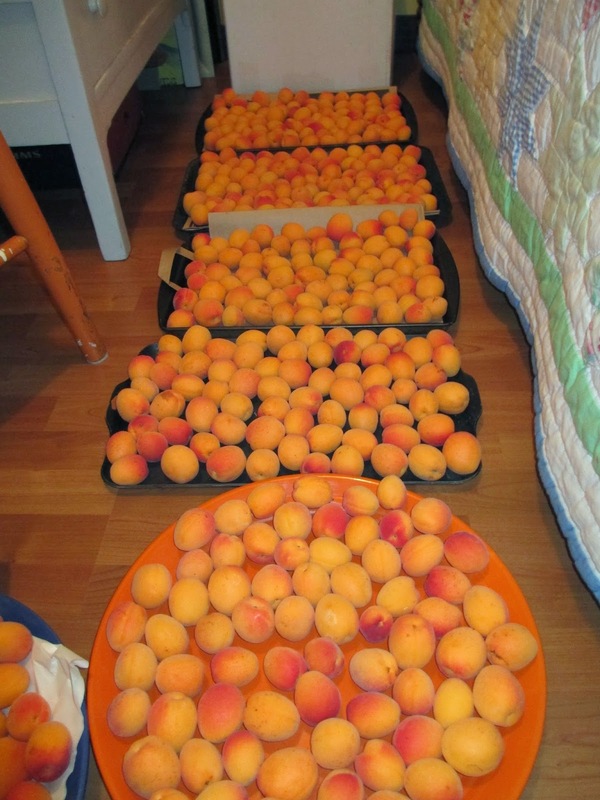 What a great job, you will be eating good apricots in the winter and so many will be jealous. Thank you for sharing with the Clever Chicks Blog Hop! I hope you’ll join us again next week! 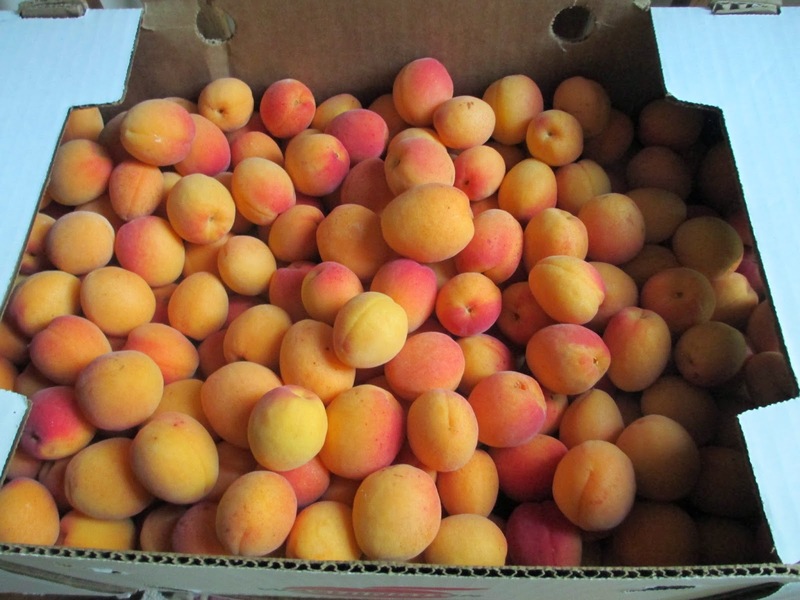 Thanks for linking up with us this week :) I am still drooling at those beautiful apricots!